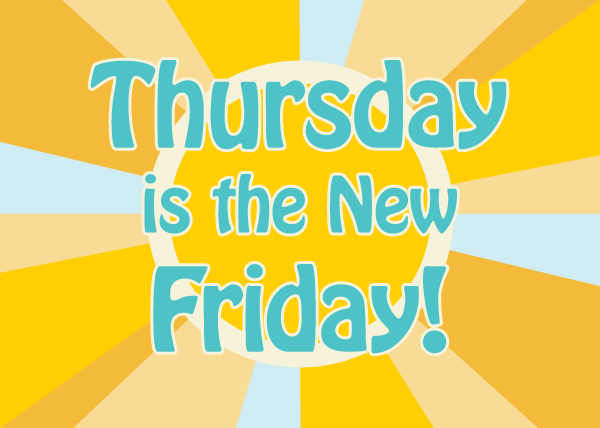 Should Thursday Be the New Friday? We are excited to announce that for the month of October, Thursday is our new Friday! In the hope of minimizing our environmental footprint, promote work-life balance and create a happier, healthier, more productive team, our current office hours are Monday through Thursday 8am to 4pm PDT. If this theory proves to be successful, we are hoping to permanently move to a reduced work week! Not only will moving to a 32 hour work week (with full salary and benefits!) help the team at Beelineweb.com have more life balance, we are hoping it will create a more focused, productive 4 day week that actually surpasses the amount of work that we are now doing in 5 days (40 hours). If this test is successful, it will mean having 50 less days of driving to and from work, 50 less days of heating/cooling the office, etc. which will result in a smaller environmental footprint. We are hoping for a win-win for all of us – our team, our company, our clients and the environment. To read more about this initiative, please check out our press release here!